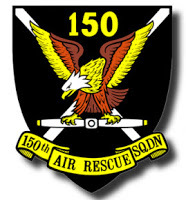 NO Squadron 150 Meeting this Week!! Friends, our squadron will NOT be meeting this Thursday (29 March) as it is the fifth week of the month and we are "dark" during the fifth week. If you were planning on visiting our squadron we look forward to seeing you at our next meeting which will be on 5 April, 2018. 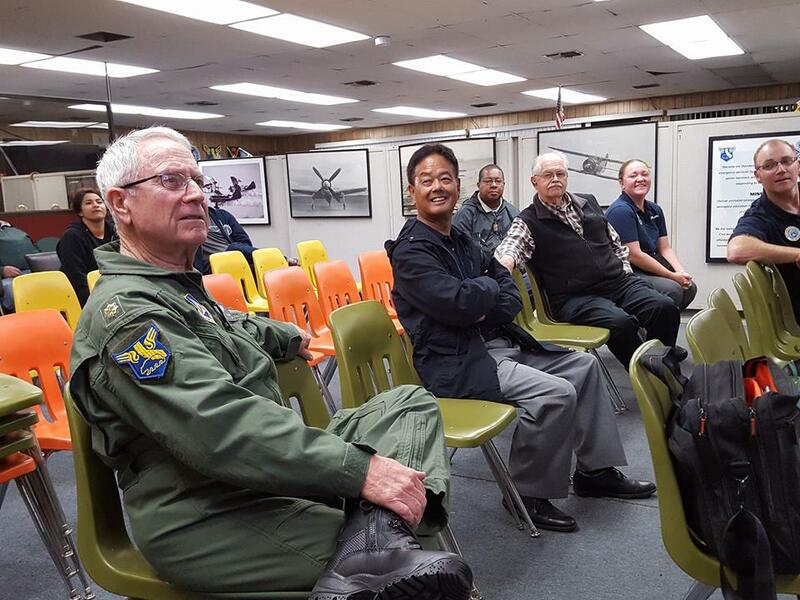 Maj. Jerry Civalleri (L) and other Squadron 150 members during a meeting. 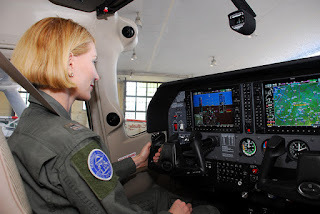 Squadron 150 to Host "Pathway to Becoming a CAP Pilot"
Squadron 150 will host this month's South Coast Group 7 Joint Training Meeting, which is open to all senior members of the six Group 7 squadrons in Orange County. The topic will be "The Pathway to Becoming a CAP Pilot" facilitated by Maj. Tom Barbre (Squadron 41) and Capt. Rick DeMartino (Squadron 68). 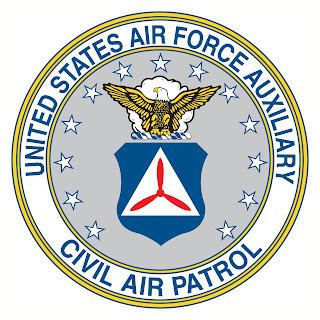 Attendees will be taken through the Civil Air Patrol (CAP) Form 5 process. 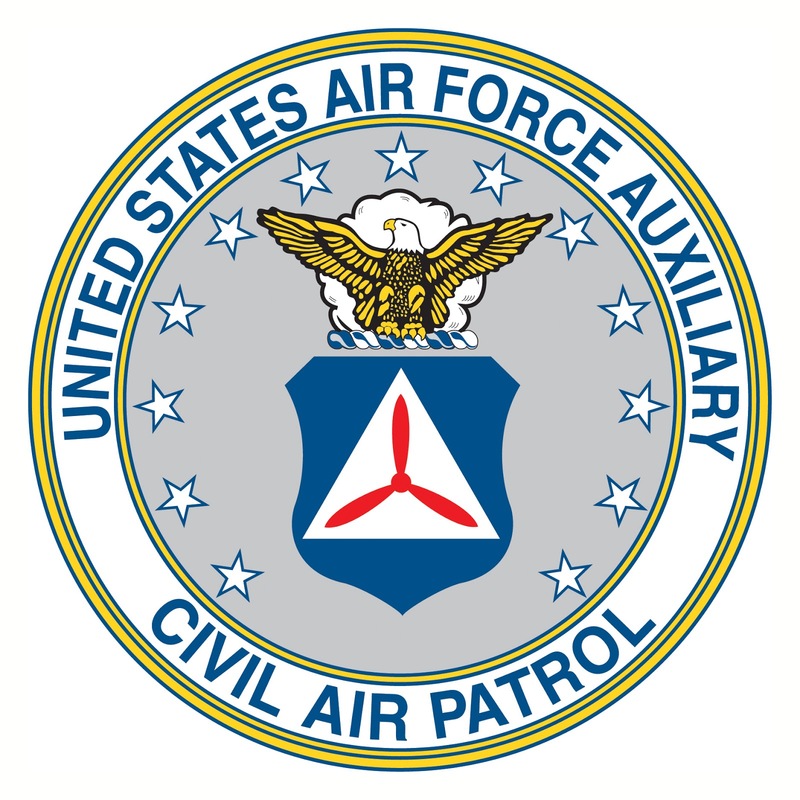 The symbols of Civil Air Patrol reveal our origins as a component of the Office of Civilian Defense. 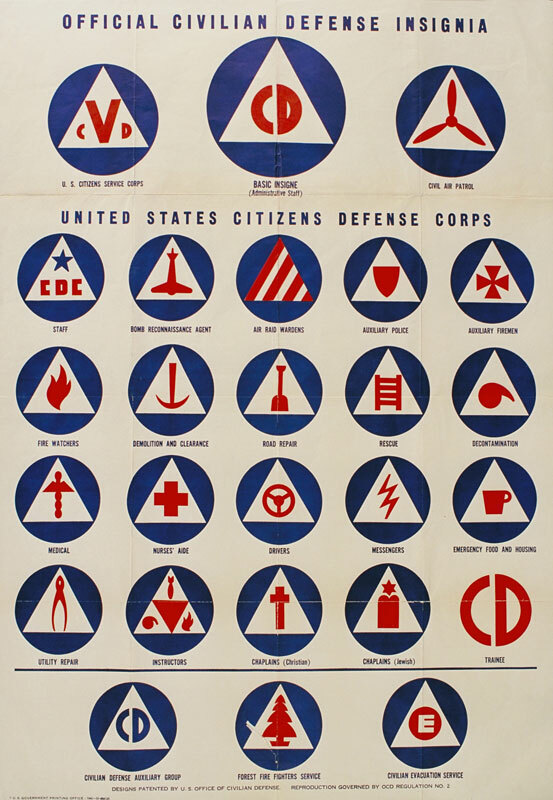 For decades the Civil Defense logo was ubiquitous all around the nation and could be found everywhere from cars, signs, shelters, and sirens. Remember this? 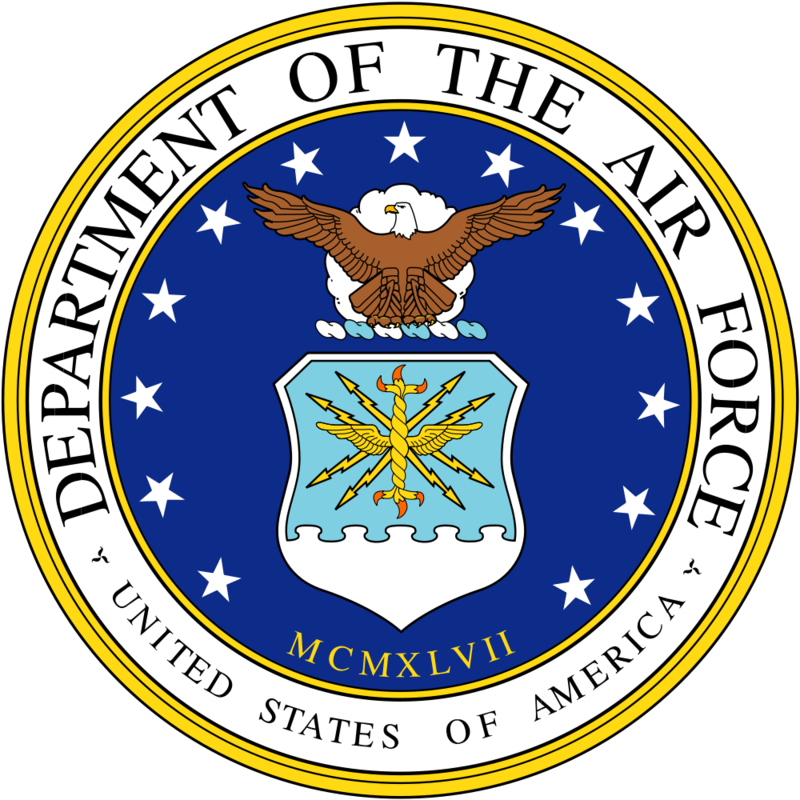 The Civil Air Patrol insignia (blue disk with superimposed white triangle and with red three-bladed propeller superimposed on white triangle) shall be placed on the wings and fuselage of all aircraft engaged in official Civil Air Patrol Missions. Any aircraft while displaying such insignia shall be flown exclusively by members of the Civil Air patrol." 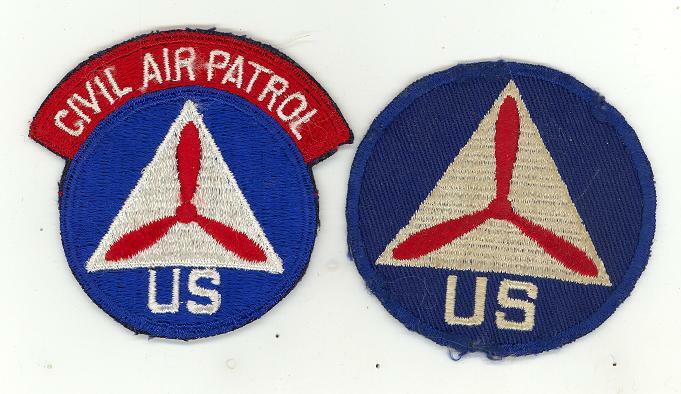 The insignia on the right was used circa 1942-1944 while the insignia on the left, with "Civil Air Patrol" added to the patch was introduced in 1944. Because CAP was a part of the Office of Civilian Defense it was only natural that CAP's insignia was derived from CD insignia. 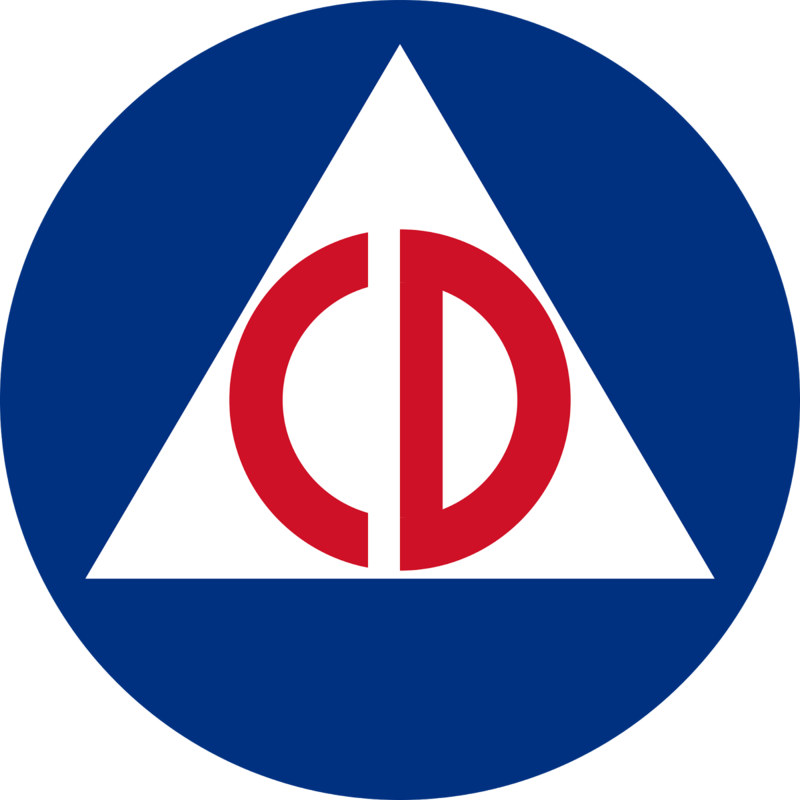 CAP's symbol during the WWII era was the blue circle and white triangle found on the Civilian Defense insignia, with a red triangle replacing the letters "CD." Later versions of this emblem included the letters "US." 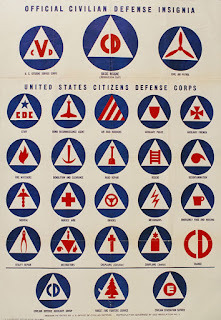 For reference here is a poster with the other CD insignia of the era. 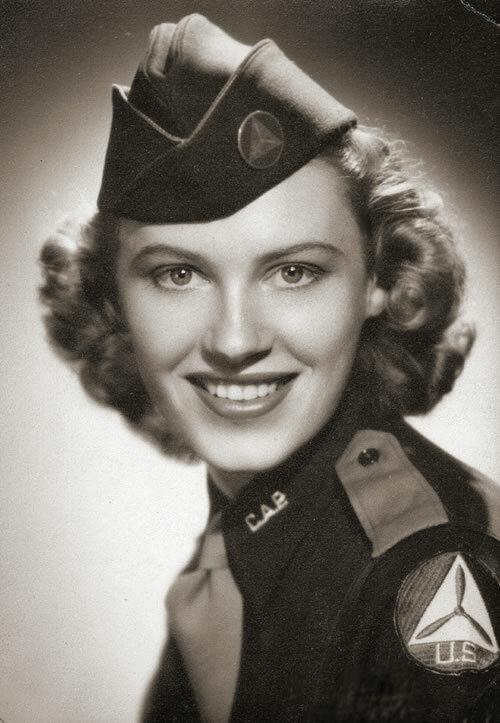 CAP kept its CD-derived insignia even after it was transferred to the authority of the War Department and became the auxiliary of the United States Army Air Forces. In future posts we will see the evolution of the symbols of CAP and the balance of maintaining a link to CAP's history and looking forward towards CAP's future.